Our Ranking The Franchise series continues today as we have now put together our Top 5 Prologues Of The Friday The 13th Film Franchise! This was a very fun list to put together as revisiting the openings of each film enhanced and reaffirmed our love of the franchise. Our readers may or may not agree with the order of our rankings, but fans could list the prologues higher or lower than what we have listed below. WARNING: This list contains spoilers. If you have not seen all of the films previously, please pass this ranking by until seeing all of the films. Aside from the original 1980 movie, Friday The 13th: A New Beginning boasts quite possibly the most tense and haunting opening to be filmed as a prologue in the franchise. Riding the coattails of the exciting finale of Friday The 13th: The Final Chapter, the opening prologue of A New Beginning throws the audience right into the fray as a young Tommy Jarvis (Corey Feldman) seamingly has gone to visit the grave of Jason Voorhees, the maniac he single handedly killed in the previous film. Harry Manfredini's new score created for the fifth film in the franchise is glorious and heightens the tension and fast paced action of the opening of the film. In many ways, the prologue of A New Beginning is everything fans had hoped to see with Jason rising from the grave and continuing his killing spree. The final tense moments of the pre-credits scene comes when Jason finally confronts Tommy and lifts his machete. Unfortunately for some of the audience, it is revealed that Tommy Jarvis was just dreaming as he is being driven to the Pinehurst halwfway house. 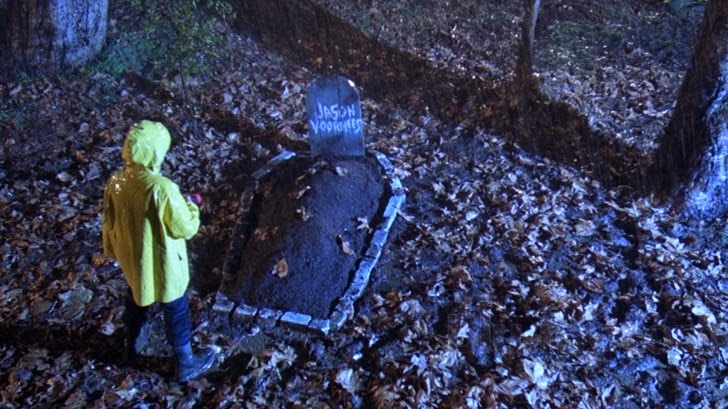 Although the revelation of the prologue being a dream stung fans for some years afterwards, there is no denying that seeing a young Tommy Jarvis standing above Jason's grave with Manfreidni's fresh new score is a highlight in the minds of many who follow the films. In a lot of ways, Jason Goes To Hell shares the same hatred from fans that A New Beginning does for having a superior prologue that ultimately leads fans into an entirely different film than what was expected. The opening of Jason Goes To Hell, however, was a love letter to fans of the franchise, taking all of the best elements of the stalk and slash scenes seen by audiences in the Friday The 13th franchise and combining them into the ultimate Jason Voorhees chase scene at Crystal Lake. Of course, no one expected that Jason would be killed in the first few minutes of the film before going into the opening credits. The prologue forced numerous fans to have the ultimate WTF moment and completely forced everyone seeing the movie at the theater for the first time to question what movie they were about to see. Most fans decided they didn't like the new direction the franchise was going, but there is no denying that everyone had a huge collective grin on their faces as the first minutes of the film unfolded until the F.B.I. arrived to blow Jason to bits. Audiences had no idea what to expect when Friday The 13th Part 2 was announced shortly after the successful opening of the original film. The fact that the killer from the previous film had been decapitated left a gaping hole in the plot and fans wondered how a new killer would emerge to take over for Mrs. Voorhees. It was imperative that the prologue of the first sequel of the franchise set the tone for not only the rest of Part 2, but for the prospects of a franchise. Although the prologue uses a number of scenes from the ending of the first film to help carry the narrative, isolating the heroine from the first film, Alice Hardy, in a dark house while receiving a strange phone call and hearing unusual noises set up a tense atmosphere. Knowing that an ominous figure was lurking outside her house did not help matters much, but what would happen before the opening credits rolled was shocking. Killing off a character that was thought unkillable in Part 2 was done way before Scream came about 15 years later as Alice discovers Mrs. Voorhees severed head in her refridgerator and Jason notches his first on-screen victim. The opening of the sequel set a definite exciting and scary tone for the rest of the movie and indeed the rest of the franchise. It was real hard to not make Friday The 13th 1980 number one on our list as it not only shows off an engaging and scary prologue, but is wonderfully filmed with spectacular music by Harry Manfredini. 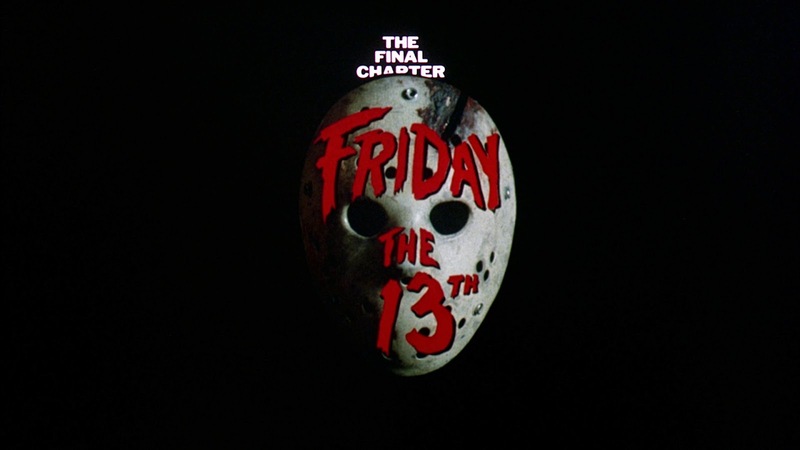 It is with utmost importance in a film with a story that has no ties to a franchise or book series that the opening scenes give some explanation of where the audience is to be taken and what to expect, and Friday The 13th not only delivers the message to be prepared to be scared, but to be horrified by what they are going to watch. 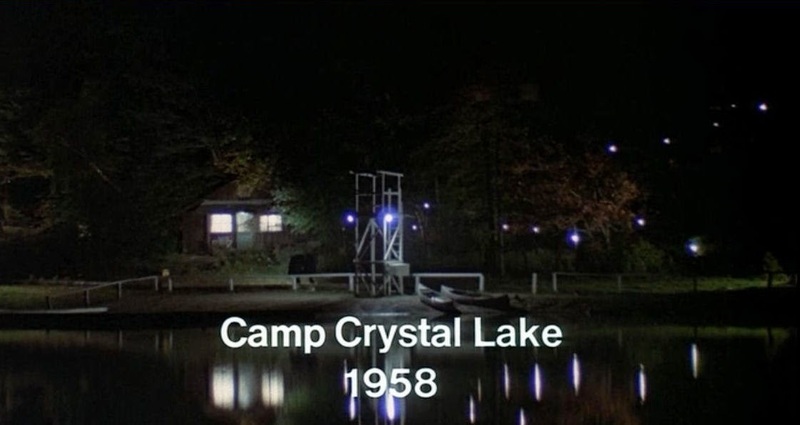 The establishing shot of Camp Crystal Lake lets the audience know they are in 1958 and that something very bad is about to happen that will set up the rest of the film. The panning camera shots of the unseen killer walking through the cabins filled with sleeping children is chilling as is the confrontation with sexually active counselors Barry and Claudette. The final scream of Claudette before meeting her demise and then transitioning into the opening title of the film is still to this day an awesome sight to witness. It may shock some of our readers to see Friday The 13th: The Final Chapter in the top spot of these rankings, probably because there were no new scenes filmed for the opening of what was marketed as the final Friday The 13th. It's true, the entire prologue of the The Final Chapter is a visual collage of the best and most exciting scenes in the previous three films of the franchise. What's better is that the entire narrative of these edited together scenes is done by the character Paul Holt from Friday The 13th Part 2, straight from the camp fire scene in his film. The entire prologue is done masterfully sharing the true power and shear fright that the franchise had given audiences to that point. The opening of The Final Chapter sets up the film beautifully with every fan expecting to see the culmination of four years of terror from Jason and Pamela Voorhees come to a bloody end! Let us know what you think of our ranking of the Prologues and share with us which openings of the films of the franchise are your favorite or what you think are the best.